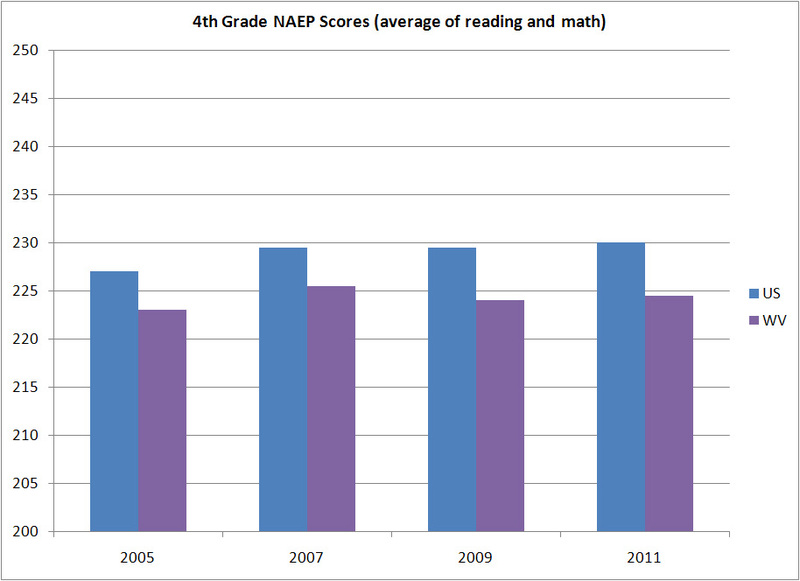 Last I looked, in that 2012 post, the chess masters of policy had little effect on West Virginia’s NAEP scores: Their scores were below the national average, precisely where they were when Governor Wise’s term ended in 2005. The West Virginia Board of Education voted unanimously Thursday to repeal the controversial Common Core/Next Generation teaching standards and adopt a new set of standards called the College and Career Readiness Standards for English, language arts and mathematics, but state lawmakers say the new standards don’t address all the issues that have been raised in recent months. If West Virginians are feeling that way, given the quality of Massachusetts’ academic standards prior to the adoption of the Core in 2010, it’s no wonder that the “End Common Core” ballot initiative was successful in getting the requisite number of signatures to move forward.